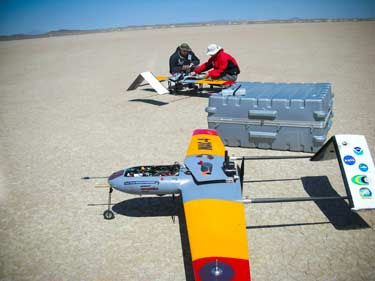 Scientists at the Scripps Institution of Oceanography are going to use unmanned aircraft to study Southern Californian air pollution and the region's potential for climate change. The California AUAV Air Pollution Profiling Study (CAPPS) began last month and will gather meteorological data from clouds and the atmosphere over the region until next January. It is thought the region's climate such as it's tendency to trap smog could make the region prone to climate change consequences such as dimming at low levels. Monthly UAV flights will provide data to help evaluate the long-term effects of pollution. Flights are taking place from Edwards Air Force Base and have to use military airspace because of rules governing the operation of UAVs in civilian airspace.